Università Cattolica del Sacro Cuore, in collaboration with local companies and technicians, has always been involved in the characterization and protection of the minor indigenous vines of the territory and, more recently, it is working to understand if some of these genotypes can be enhanced in response to the needs of modern viticulture and as part of a diversification of the product considered strategic for the competitiveness of wineries. 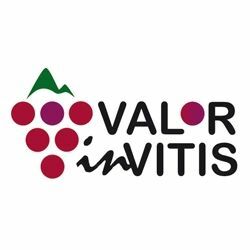 Thus, under Action 2 of the three-year ValorInVitis project (measure 16.1 of the PSR 2014-2020 Emilia-Romagna), it was possible to intensify the experimental activities at the vineyard-collection planted in 2003 at the 'Mossi' winery 1558 '. The evaluation of the more than 30 vines in the collection takes into consideration both the phenology and the vegetative-productive performance of the genotypes, and the quality and the oenological attitude of the grapes, also evaluated according to absolutely innovative analytical techniques. In 2017, a vintage characterized by a particularly hot and dry summer, some vines emerged among others, especially because of the interesting technological characteristics of the must. Barbesino and Molinelli have shown an excellent maintenance of titratable acidity, when compared with Ortrugo, and seem to be suitable candidates for the improvement of white and / or sparkling wines. Malvasia Rosa, a mutation of the aromatic Malvasia di Candia, has also been of particular interest. It has a different color of the skin, due to the presence of pigments that give the grapes and then the wines a pleasant pinkish appearance.